Home > Training > Breed > Is The Border Collie The World’s Smartest Dog? When it comes to working dog breeds there are few dogs that are as driven as the border collie. This intelligent breed, a herder by nature, originates from Scotland and England and is recognized for its incredible work ethic. We will detail some of the most characteristic features of this breed as well as the history of this diligent working dog. 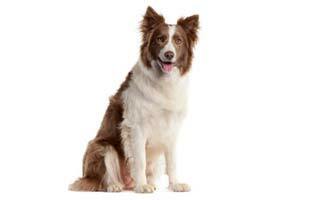 The border collie is such a well known breed that the chances are that you already know what this dog looks like even if you don’t recognize it by name. Most commonly non-dog lovers or less experienced dog lovers will recognize this breed by the classification of being a “black and white sheep herding dog.” The fact is that the border collie is not always the stereotypical black and white. This breed can also be tricolored, red and white, yellow, black and gray, yellow and white, all black and sable in coloration. The most commonly seen coat color in this breed however, is the more traditional black and white. The border collie coat is thick and weather resistant; the double coat sits close to the skin and comes in two varieties. The rough coated border collie has a coarser feel to its coat and hairs measure around three inches long. The short coated border collie has a much sleeker coat comprised of hairs that measure only around one inch long. Of these two coat varieties, the longer coated border collie is the most well recognized with its thick mane and shaggy brush on its tail. All border collies, regardless of their coat classification however, will have short hairs on the front legs, face and ears, this allows for better sight, hearing and maneuverability in the field. The double coat is a significant development in the border collie breed as it allows this UK bred herder to weather harsh weather conditions while still performing its herding duties. Removal of dew-claws is also a frequent practice in this breed in order to avoid tearing injuries while the dog is working in the field. The border collie is a long dog that has a longer body than it is tall. Males stand between 19 and 22 inches tall and weigh between 30 and 45 pounds. Females stand between 18 and 21 inches and weigh between 27 and 42 pounds. The teeth of this breed meet in a scissor like bite in a muzzle that measures approximately the same length as the skull. One of the most prominent features of the border collie breed is the deep brown eyes that are often described as “intelligent eyes.” All border collies have these dark brown eyes with the exception of merle coated border collies which may have a single blue eye or two blue eyes. Another defining characteristic of the border collie is its ears which are generally erect or semi-erect as this breed is constantly alerted to its surroundings. It is important to note that there is a significant degree of difference in the conformation of the border collie’s physical appearance. This difference results from the fact that this breed comes from breeding which focused on intelligence and working ability rather than physical appearance. At one time the border collie was more commonly known as the Scotch sheep dog. Hailing from Northumberland – located on the borders of both England and Scotland, this dog was bred from Viking dogs. Using the reindeer herding dogs brought by the Vikings, breeders brought in British droving breeds as well as spaniels to create a dog that’s sole existence depended on hard work. The combination of work drive and intelligence make this one of the most trainable breeds that is happy to work until it drops. As the border collie breed developed it became recognized for its ability to “hypnotize” herd animals with its stare. In addition to this mesmerizing stare, the border collie possesses a sleek body that allows it to crouch and herd efficiently and quickly. This breed became recognized by the American Kennel Club quite late on in 1995. Now this breed is also recognized by the ABC, AIBC, CKC, FCI, AKC, UKC, KCGB, ANKC, NKC, NZKC, APRI, ACR, DRA and the NAPR. Due to its incredible level of trainability, the border collie has found a niche in many working fields. The primary “job” for this breed will always be as a herding dog; however, other jobs include: bomb detection, narcotics detection, agility competitor, Frisbee trial competitor, search and rescue work, Fly ball participation, competitive obedience and even work as seeing eye dogs and general assistance dogs for the handicapped. There are a number of aspects to consider when discussing the overall health of this breed. Assuming the individual dog is bred from quality genetics the average life expectancy is between 12 and 15 years. There are a number of health conditions that can impede this life expectancy, with some resulting from dogs being from “poor stock” and some simply being a result of the breed’s nature. Some of the most commonly seen health problems with this breed include: hip dysplasia, epilepsy, deafness, PRA (progressive retinal atrophy also known as Collie Eye Anomaly among collie lovers.) This breed also frequently experiences an allergy to fleas. A significant concern for border collie lovers is the MDR1 gene. This gene is found in some herding breeds and can prove deadly. Dogs that carry this gene are increasingly sensitive to certain drugs that may be commonly used in veterinarian medicine. 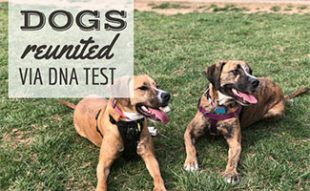 While most breeds fair perfectly well with these particular types of drugs, dogs that carry the MDR1 gene may die as the result of exposure to these substances. Dogs can be tested for the presence of this gene so that owners can be aware of their collie’s potential for complications when undergoing medical treatment. A significant part of being a border collie owner consists of maintaining overall coat health. 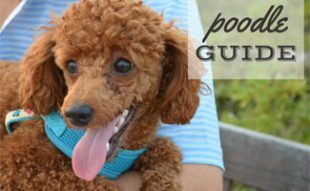 While this breed has a rough and tough coat designed to protect the dog in harsh weather conditions, this tough coat also requires regular care to maintain health. Regular brushing and combing is necessary in order to ensure that the border collie has a smooth and shining coat. When this breed undergoes seasonal shedding, additional grooming procedures may be required. Grooming for the border collie however, does not always mean bathing since this can strip the coat of essential oils. It is also important to brush your border collie’s coat to discourage mattes from forming. These clumps of hair occur most frequently in dogs that have longer coats. Mattes in your dogs coat can breed bacteria and weigh down your dog’s coat pulling on their skin. Regular brushing and “once over’s” for ticks is a necessary part of owning this breed. Ticks can adhere to any part of the dogs coat and particularly the ears of the border collie so it is important to regularly check your dog thoroughly for these pests. As these insects feed on your dog they not only affect his or her health, but they can also alter your pet’s behavior. Always remember too, to apply regular monthly flea and tick preventative. While regular grooming is a crucial part of a healthy border collie, so too is regular exercise. All dogs have exercise requirements but due to the working nature of this breed and its high intelligence, exercise is just as crucial. The term exercise for the border collie refers not only to physical exercise, but also to mental stimulation. The high intelligence of this breed means that without that mental stimulation the dog is going to find ways to entertain itself – often at its owner’s expense. Border collies will not do well with apartment life and their daily exercise demands most often mean that this dog requires acreage to roam. This intense exercise requirement is another part of what makes this such a perfect breed for farm life. These dogs do not have to have farmlands to claim as their own as long as they receive plenty of exercise such as agility or Fly ball trials. While regular long walks are a necessity for this high energy breed, it is also important to encourage higher energy expenditure such as running, jogging and playing ball. Owners of border collies can tell you that without mental exercise this dog will become very bored very quickly. A bored dog is never a good dog, but a bored dog with as much intelligence and energy as the border collie makes for an impossible situation. Next to an inability to provide enough physical exercise, an inability to provide enough mental exercise is the top reason why this breed finds its way in to local shelters. Without being able to exercise their mental acuity, the border collie will find ways to entertain themselves, commonly entertaining their natural instincts in the process. One of the most commonly seen “problem behaviors” in bored border collies is herding of family members or other family pets. These things can be avoided easily by engaging in activities, mentally stimulating games and providing social play occasions. Some of the most commonly participated in activities by border collies and their owners include: agility, Fly ball, Frisbee or Disc Dog. 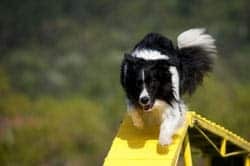 You will notice that border collies are not as keen to participate in water based sports like dock dog work, this is a breed that would prefer to keep all four feet on the ground for the most part. One of the things that any border collie enthusiast will tell you is that the border collie is recognized as the world’s smartest dog breed. What exactly does it mean to be the world’s smartest dog breed though? A dog is considered to be “smart” by human standards based upon a number of factors. In his book “The Intelligence of Dogs” British Columbia neuropsychologist Stanley Coren uses the trainability of a dog to indicate its level of intelligence. Researching professional trainer’s assessments of 110 dog breeds that were based on the dog’s performance on working and obedience testing, Coren labeled the most intelligent dogs as those that obeyed commands heard five or less times with a 95% success rate. The top breed in this testing was the border collie. Following the border collie in the order in which they were ranked are the poodle, the German shepherd, the golden retriever, the Doberman Pinscher, the Shetland Sheepdog, the Labrador Retriever, the Papillon, the Rottweiler and the Australian Cattle dog. The idea of owning the world’s smartest dog breed may seem appealing; however, it very often leads to this breed being dropped off at local shelters. Intelligent dogs require mental stimulation that many owners cannot provide. 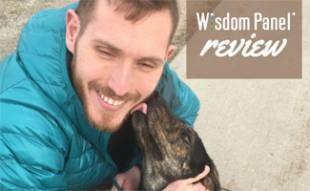 Unfortunately for many they believe that having a “smart dog” simply means having a dog that requires less training and a dog that can perform more “tricks.” While the latter may be true, the former certainly is not. The border collie requires constant training and assortment in training techniques to keep it mentally stimulated. So who should own a border collie? To be a successful owner of a border collie it is important to recognize the physical and mental exercise requirements of this dog. While it certainly does help to have a large amount of land for the dog to exercise on or herds of sheep to round up, there are many other ways to keep a border collie happy and healthy. Many people who own border collies participate in sports like Fly ball which allows them to live within smaller confines and still own a dog that has exuberant energy requirements. As long as the dog is receiving the exercise it requires, you will avoid the mistake of a bored border collie. You are not financially able to enroll your dog in an activity like “day care” if you are away from home all day. Never underestimate the power of a bored dog, particularly a bored border collie. The job of going through spilled trash is nothing next to the bored dog that tears up and consumes half of your sofa or the dog that is so desperate to get outside of the house that they chew through drywall. If however, you feel that a border collie is the right breed for you and you’re active lifestyle then make sure that you get your dog from someone who knows its pedigree. 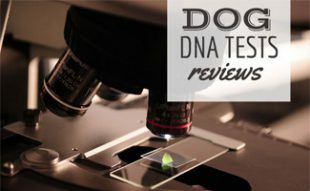 Knowing where a dog came from in terms of its genetic lines is important in understanding what health concerns you may have to deal with in the future. For a breed like the border collie that is pre-disposed to a number of genetic concerns, knowing where your dog comes from genetically can greatly reduce the chance that you will have a dog that suffers from epilepsy, has hip dysplasia, has progressive retinal atrophy or is deaf. While there is nothing wrong with caring for a dog with these conditions, breeders should not be encouraged to continue breeding poor genetic lines. This is why it is important to be selective over who you buy your border collie pup from. Our family had a border collie that was 1/8 German Sheppard so a little larger than most. I will not bore others with all the things she did and her ability to figure things out. We had to spell bath and, yes she learned that on her own, did not like bath. After her bath she would hop up on outside A/C unit to dry. At Christmas we would say Lisa, find your gift under the tree which was wrapped like all the others, she would walk over and pick it out. My father knew she was getting old so got another smaller dog to be training. It was not house broken, and while in training, if that dog messed on the floor during the night Lisa would wake up my father and take him to that location and point to it telling on the other dog! There are so many stories, and we miss her so very much. The only thing I would add is that not all Border Collies are the soft lovable pet type dog. You know that farm Collie that races along the hedge line barking at you with a don’t mess with me I’ll have you, bark? That’s our Border collie, loves me and my wife to bits. Super loyal gentle and affectionate with us but not bothered or actively disliking of other humans especially if they are encroaching on our space. Each dog has its own character and in Border Collies (I’ve owned two and one cross now) all were different but all had character traits someone who wants an easy amiable companion might not want in a dog. My last Collie loved human beings but hated other dogs. The Collie cross had a wanderlust like Lassie and would always be disappearing on me! And Our current fella well we’ve talked about him already. The most loyal loving companion I’ve had but not Mr Friendly to everyone else! Border Collies are the most rewarding dog and as a companion and a true team mate un beatable, but cute pets they are not. They can be difficult, and temperamental like any super clever human 😉 I love em but not everyone will. Think carefully do you want a team mate or a fluffy pet? If you want a true companion and team mate then BCs are the best. They definitely are the smartest breed. My first dog was a border collie from rescue. He was amazing, so gentle calm and obedient. Many people couldn’t believe he was a border collie because he was so laid back (that is, until he saw an animal to herd!). He was great with kids too – very gentle and calm, never nipped, and would fetch and play tug gently with even very small children (taking care not to overpower them or pull them over in tug games). He was so helpful around the home – he’d come get me if I hadn’t heard the phone or the door (without barking, he’d just come and look at me and then lead me to the phone / door) and he’d come to get me if I’d left something on the stove too long and it was starting to burn. I taught him loads of tricks – fetching his toys by name and putting the toys away in his toy basket for example. We used to go hiking at the weekends and he’d find trails for me to walk. If I got lost I’d ask him to “find the car” and he’d show me the way back (he never got lost). I miss him so much. It was like losing a child when he died. Sounds like the two of you had a wonderful relationship. It’s difficult losing a pet, they become family. Out thoughts are with you. Thank you for sharing your story with us.